Home > Articles > Are you prepared for parental emergency? Are you prepared for parental emergency? The most beautiful sight is when our parents are smiling, and it is priceless when we are the reason behind their smiles. Remember all the sacrifices, our parents have made for us. Don’t you think that now it is our turn to give them back the love and pampering like we were given. We may never be able to repay their never ending love for us. But, we can still give our best. Loving your parents does not only mean that you shower them with good food to eat, a roof to stay and other essentialities of life, it goes beyond that. When you saw the first wrinkle on your Mom’s face, didn’t it give you restlessness? The reason behind it is we can’t really see them grow older. 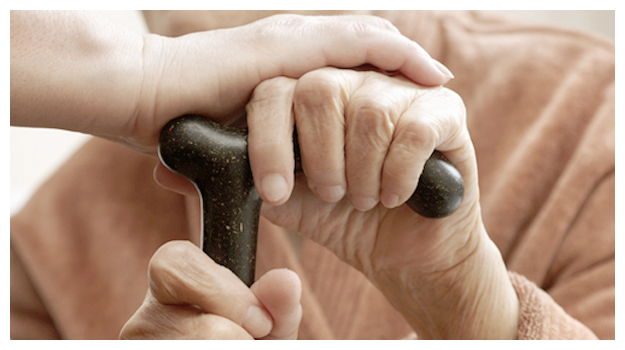 For the former, their well-being, health and answering to their needs promptly are the most important factors. Keeping that in mind, the priority is on their health issues which are a subset of the essential needs. Medical emergencies can occur anytime without a warning while you are away. While in your absence, physically, what you need is someone who can make sure things are addressed to the utmost care. Talking about the medical emergency, it is an acute injury or illness that poses an immediate risk to a person’s life or long-term health. It needs assistance from another person, who can attend the situation anytime, anywher,e whenever you want and should have knowledge about your medical history along with the fact that he should be suitably qualified to help during such situations. You never know what is awaiting the next minute. So, it is always better to be prepared for the worst to fight the best. We all learn from the mistakes we make. I have learned it the hard way. I know how a medical emergency could be death taking. This happened with my uncle’s life. My cousin, his only son, was always busy with his work in an MNC and had settled abroad for a greater career. Unfortunately, my uncle suddenly collapsed in his bathroom, and there was nobody at the home except my aunt to assist him. Our family stays away from where my uncle resides. She was not only alone, but also couldn’t understand what to do. And though she managed to call the ambulance, it was too late by the time the ambulance turned up at the doorstep. He took his last breath in the ambulance. The incident made us understand the importance of having someone reliable to cater to medical emergencies. Anvayaa is for you and with you, ALWAYS- No matter where you are! Anvayaa Kin Care is a one-stop Parent Care solution for your peace of mind. At Anvayaa we address all medical emergencies 24X7 with utmost care. We value every minute of your parents lives. We give your parents a dedicated Relationship Manager who is just a call away for any of their needs, and our 24×7 customer care assistance will help you stay connected with us. Say goodbye to all your worries including who to call? Where to find an ambulance? which hospital to go to? Managing paperwork, parents’ medical history etc. by a single signup with Anvayaa. Learn more about our Emergence Care Plan. Treat your parents with loving care, for you will only know their value when you see their empty chair. They were the heroes of our childhood. In laughter and sorrow, in sunshine and through rain, they never left us apart. It’s time to make them feel rejoiced and happy by choosing a better life ahead for them.